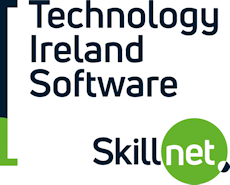 SoftTest Ireland would like to announce an upcoming Skillnet funded JMeter course starting this October. Identify what information needs to be gathered for load testing. Identify the components of JMeter. Apply the workflow recommended for creating a basic JMeter scenario. Assign scripts, run-time settings, load generators and Vusers to a JMeter scenario based on your load testing goals. Load test an application by running a scenario. The programme is intended for beginners or intermediate testers, leads who need to develop or improve automation techniques using JMeter.